He who dies honorably lives forever. 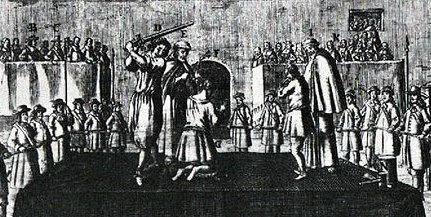 On this date in 1671, Croatian noble Fran Krsto Frankopan and his brother-in-law Petar Zrinski were beheaded by the Austrian empire at Wiener-Neustadt Prison. The Zrinski-Frankopan Conspiracy — or Magnate Conspiracy — was the product of great powers chess in central Europe … and specifically, of the frustration of these lords in the frontier zone between the Austrian and the Ottoman Empires at being a sacrificial pawn. Instead, they’d take control of their own destiny and be a self-sacrificial pawn. Croatia and Hungary had been on the perimeter of Hapsburg authority for generations, and seen the rising Ottomans push well into Europe. In the latest of innumerable wars, the Austrians had trounced the Ottomans, potentially (so the Croats and Hungarians thought) opening the door for reconquest of lost territory. Croatia in particular had been nibbled away by Ottoman incursions into a “remnant of a remnant.” Emperor Leopold I thought otherwise: he had Great Games to play in western Europe as well and didn’t find this an auspicious moment to go all in in the east. Rather than following up his victory by trying to run the Turks out of their half of divided Hungary, or out of Transylvania, Leopold just cut an expedient peace on status quo ante terms quite a bit more favorable to Istanbul than the latter’s military position could demand. The aggrieved nobles started looking around for foreign support to help Hungary break away. This scheme never came to anything all that palpable, perhaps because the operation’s leading spirit Nikola Zrinski got himself killed by a wild boar on a hunt, and definitely because no other great powers wanted to get involved in the mess. Zrinski (or Zrinyi) was also a noteworthy Croatian-Hungarian poet, as were the remaining conspirators. The boar-slain’s younger brother Petar, his wife Katarina, and Katarina’s half-brother Fran Frankopan, also better litterateurs than conspirators, inherited the scheme’s leadership, and its penalty. 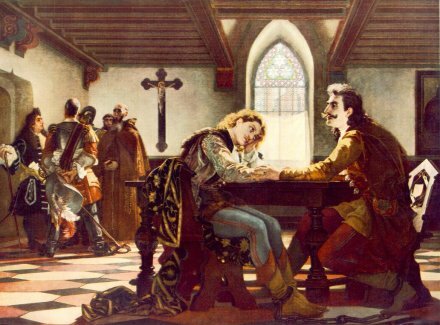 Royal vengeance against the plot shattered two mighty noble houses: the Zrinskis were all but destroyed by the seizure of their estates. The Frankopans — an ancient and far-flung family whose Italian Frangipani branch was even then about to yield a pope — were done as major players. 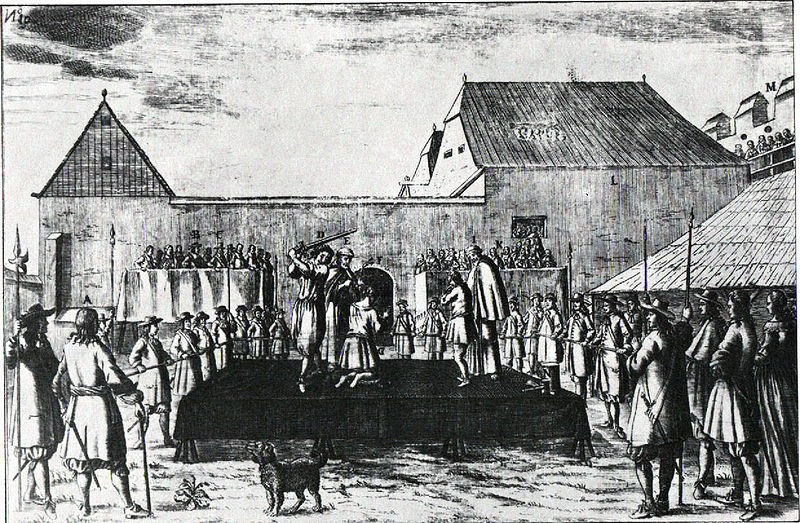 After these executions, anti-Hapsburg sentiment metastasized in Hungary into outright rebellion. But in what was left of Croatia, the loss of the two largest landholders spelled the end of effective resistance until the era of 19th century romantic nationalism — when our day’s unfortunates were recovered as honored national heroes.